Throughout my cycling tour from Cairo to Cape Town, I’m planning to write one (very) short story each day about something I’ve learnt. The idea is very simple—share my experience with you in a more interesting way, leverage the power of writing to accelerate growth, and keep it in a format that hopefully I will find manageable. 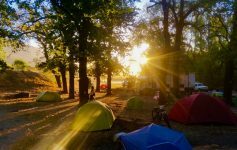 The issue with bike touring blogs is that they tend to become very repetitive and boring. Priorities of riders and interests of readers are not aligned. I mean: Who wants to read every day about my cycling performance, road and weather conditions, meal plans, campsites, and bowel movements?—No one. You want to read something new, don’t you? That’s the idea of “one lesson a day”—focus on something new every day. Of course, some of these stories will be about cycling, camping, and Africa. After all, you also want to get the inside view of what it means to cycle across Africa (I assume). Other stories, however, might be somewhat unrelated and completely unexpected, and that’s the beauty of it. I have no idea where this will lead, but I’m convinced there will be lots of stories to tell and lessons to learn. 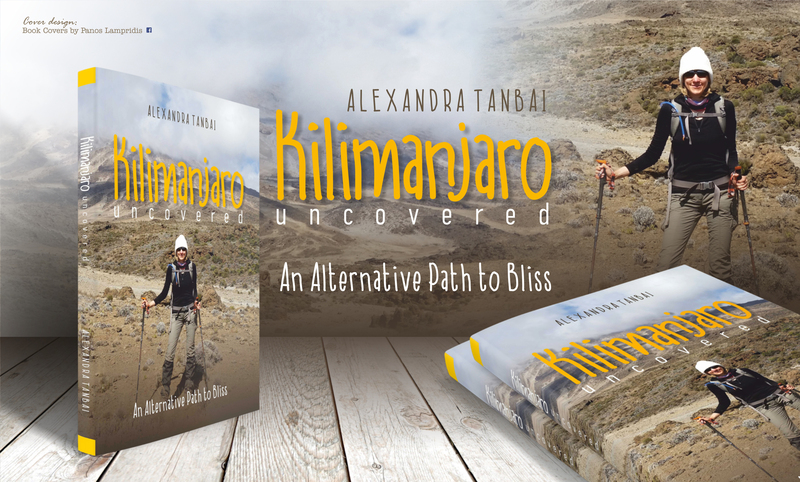 I’ve recently published a book—Kilimanjaro Uncovered . It is about my experience hiking to the top of Mount Kilimanjaro in Tanzania. Prior to Tour d’Afrique, this was my first and only time in Africa, my first and only time camping without access to washing facilities, and my first and only “endurance” experience. Kilimanjaro turned out to be a truly life-changing experience for me, leading me back onto the path of where I truly want to be. However, it was not the mountain or the experience itself that triggered those changes. It was writing about it that has proven to be such a worthwhile pursuit, leading to wonderful and entirely unexpected outcomes. 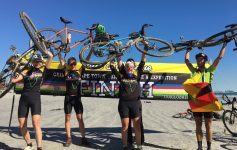 Cycling through Africa is one of these outcomes that would not have happened without writing Kilimanjaro Uncovered. Through publishing, I’ve also learnt the power of vulnerability and the beauty of imperfection. Now I’m taking this one step further by letting everyone be part of my journey real-time, at the risk of exposing endless imperfections—typos and bad English aside. Hopefully you will enjoy following me on this journey of growth and perhaps even find some useful parallels for your own life. I’ve also learnt from writing Kilimanjaro Uncovered that I suffer from serious optimism bias. A book that I thought I could write in a week on the mountain would take me a year to complete—a year that I won’t have upon my return from Africa. And even just my daily journalling during the hike took hours rather than minutes—hours that I won’t have while cycling through the continent. So while I’d love to also write a book about my Africa cycling experience, I already know that I won’t find the time. Neither does the world need such a book from me. Alice Morrison has already filled the niche with Dodging Elephants , a highly recommendable book about her Tour d’Afrique experience that ticks all the boxes and couldn’t have been written any better. After all, however, I haven’t fully learnt my lesson regarding time and optimism. Even maintaining this blog will be a humongous stretch. And that’s where you come in. Only time will show how this idea of “one lesson a day” will evolve and take shape. But one thing for sure—I need your help to make this work. Please use the comment fields below each post to give me real-time feedback. Let me know what you like, what you don’t like, what you’d like to hear more about, . . . , or simply send me a few words every now and then to let me know you’ve read my update. My pedal strokes during the day and my writing sessions at night will be so much easier after reading your comments and encouragements. Thank you for being there with me!!! I’m book marking your website to keep up with your ride across Africa. I would like to hear about the people. Both the locals and the riders. Hearing about the weather is a bit cliche but interesting none the less. Especially when the weather makes riding a challenge. 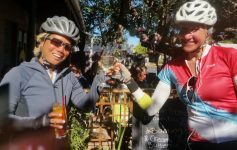 Please write about the food both what’s served by TDA and what’s different about the food in each of the countries you ride through. Just kidding about the TDA served food. I want to know how you FEEL about things as you cycle through countries – how your own person (character, personality) is affected by your observations and experiences. Very exciting – you GO Girl! Yes—make me step even more outside of my comfort zone by sharing my FEELings with the whole world . . . I think I can do that 😉 Thanks for your wishes!